A highly motivating, high intensity, low impact, isometric, full body workout. You work a muscle to the point of fatigue, then stretch that same muscle. It reshapes your entire body. Alex grew up in Duluth Minnesota and moved to Minneapolis to pursue her degree in Psychology. Alex is now is a children’s mental health therapist at a day treatment center. Alex loves the sun and all the activities that go along with it. Alex is a lover of Siamese cats and Psychological Thrillers. Alex’s favorite TBM move is definitely back dancing because it’s fun, oh and because it's the last 3 minutes of class! Audrey is a full time instructor and training mentor at The Bar Method Twin Cities. She grew up in Kansas City (go Chiefs!!!) and graduated from The University of Kansas with a B.S. in Community Health. Outside of The Bar Method, Audrey enjoys spending time with friends, being outside and loving on her dog, Cade! Her favorite Bar Method move is arabesque and you can find her rockin' that move almost every day at The Bar Method! Jenna grew up in Brooklyn Park and graduated from Minnesota State University, Mankato with a bachelors degree in communications. She began dancing at three years old, competed regionally and nationally and was a member of her high school and college dance teams. Jenna is a marketing specialist at Allina Health, and continues to dance competitively with the Larkin Ladies at Larkin Dance Studio. Most weekends, she performs in the Minneapolis Tribute band, Chase and Ovation, A Salute to the Music of Prince. Jenna is excited to be part of the Bar Fam and share her love of "the burn". Her favorite move is zipped-up thigh with hip circles because it’s got a little sass to it! Lauren moved to Minneapolis 6 years ago, after an extended stop in Chicago. She grew up in southeastern Michigan, and graduated in Ann Arbor from the "other" U of M, with a bachelors degree in English and History. Lauren is comfortable at the barre, having spent her early years in ballet, but has come to love the positive impact that barre has had on her running regimen, after first visiting the North Loop studio on a book club field trip, 2.5 years ago! During the week, Lauren works as a Director of Marketing at Workday, an enterprise software company, and on the weekends can usually be found hanging with her boyfriend and his crew of four (!!) energetic kids. Lauren’s favorite move is waterski seat, especially during the long Minnesota winter when we need a reminder that summer will be here soon! Emma comes all the way to the Twin Cities from New Zealand! She found The Bar Method two weeks after arriving in the US and has been addicted ever since! With a background in performing arts, dance and yoga instructing, Emma is excited to join the Twin Cities instruction team because she loves the joyful community of clients from all walks of life. Favorite move // Parallel thigh with the ball. Elizabeth grew up in South Minneapolis and began dancing at a young age at Ballet Arts Minnesota. She eventually received a BA in Dance from the University of Colorado at Boulder. After college, Elizabeth struggled with immense joint pain that took the joy out of dancing and that's when she found The Bar Method. She became an instructor at the Boulder studio and after 10 years of living in Colorado, decided to move back to Minnesota. When she's not at the studio you can find her working at her family's business in Minneapolis, sipping tequila with friends and family, enjoying the outdoors, gettin' down at a bluegrass show or fixing up the home she and her boyfriend recently bought. Elizabeth's favorite Bar Method move is foldover! Kayla is the owner and certified instructor with The Bar Method Twin Cities. She is dynamic, outgoing business professional with extensive and progressive Business Operations and HR experience in diverse corporate and consulting organizations. Growing up in Abilene, Texas, Kayla pursued her undergrad degree at Hardin-Simmons University and has a MBA from the University of Texas. She joined The Bar Method family in 2014 as a client in Chicago and Boston and immediately was drawn to the vision of owning her own studio. 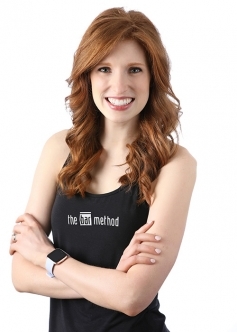 In 2015, Kayla was selected to lead the effort of introducing The Bar Method to the Twin Cities by The Bar Method executive corporate team, relocating to the Twin Cities to pursue her dream. It is rare to see Kayla outside the studio, but when she is, she typically escapes to the Northwoods in Minocqua, WI with her husband, Mike, daughter, Shelby and their 3 pups! Katie Hughes grew up in the Twin Cities and graduated from the University of Minnesota with a degree in journalism. She has been married for 12 years and has 2 adorable daughters, Clara & Harper. Katie recently added to her family with an adorable puppy, Gemma. Katie loves coffee, traveling and spending time with her family at the lake. Katie's favorite Bar Method exercise is back dancing! Libby Kessler is one of our newest instructors! She grew up in suburban Minneapolis and was an avid figure skater growing up, continuing that passion while skating for Miami University in Ohio. Libby has a degree in marketing from Miami Ohio and works as a technical recruiter in the North Loop. She’s a newlywed, marrying husband Aaron just last March. In her spare time, Libby loves getting outside and enjoying the lake/cabin life that MN offers! Libby's favorite Bar Method exercise is arabesque. Hannah Werth grew up in Bloomington, MN and graduated with her B.S and M.S. in Exercise Physiology from The University of Akron where she also played Division 1 collegiate soccer. She found her love for barre as a way to cross train for soccer, before she retired from playing competitively. She became a founders member at the Edina location. When she is not at The Bar Method, she works as a Cardiac Physiologist in cardiac rehab at Mercy Hospital. Her favorite Bar Method exercise is back dancing because it guarantees she will leave feelin' the burn (as if there wouldn’t be one already!). Jenna grew up in Plymouth, MN and graduated from the University of St. Thomas with a communication and journalism degree. 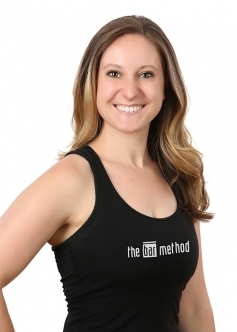 Outside of the Bar Method, Jenna works as the Director of Marketing at a lifestyle publication. She enjoys traveling, binge watching Netflix with her boyfriend, and spoiling their French Bulldog, Brie. Jenna has danced competitively since elementary school, and her love of structured classes led her to barre. Jenna has been teaching barre for over 6 years, and couldn’t be more excited to be a part of the most effective & safest barre workout around. Jenna’s favorite Bar Method position is tilted seat. Michael began his Bar Method journey in Los Angeles and was amazed at how the workout helped heal old football injuries. Upon returning to Minneapolis, Michael was grateful to discover the North Loop location and has been a client since day 1! Outside the studio you can find Michael attending writing classes at the Loft, watching movies and of course—his beloved Golden Gophers. If it’s summer and you can’t find him, water skiing (both inside and outside!). Michael’s fav Bar Method exercise is floor core. 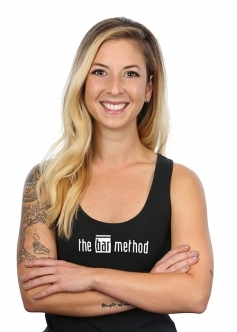 Shelby joins The Bar Method team as an instructor straight from the classroom. She has been part of the studio team since opening and is excited to move to "the mic" as an instructor. Shelby found her love of barre after a cheerleading injury, leading to an ACL repair and has never looked back. Although she grew up in Austin, TX and Boston, MA, Shelby considers Minocqua, WI home, where she is a senior member of the World Famous Min-Aqua Bat Waterski team. Shelby has spent the past few years as a student at The University of Tulsa and is finishing up her degree in Media & Communication at The U. Her favorite move is roundback- hurts so good! Becky grew up in St. Louis Park, MN where she was a competitive gymnast and diver through high school. Becky graduated from the University of St. Thomas with degrees in Art History and Psychology and immediately took her love for art to the camera, joining a photo studio until beginning a family of her own. She continues to keep photography as a side hustle to keep those creative muscles flexing. Becky and her husband, Brant, have four amazing kids who keep them busy running to multiple sports and activities. She loves to travel and especially enjoys Minnesota summers. 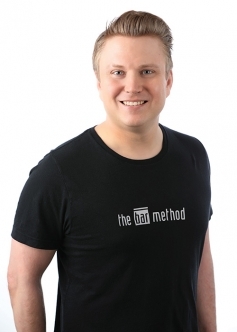 We have Brant to thank for Becky's Bar Method passion - he suggested they attend The Bar Method community class at Wooden Hill Brewery last spring. She was hooked and the rest is history. Becky’s favorite move is thigh stretch, because it feels freeing after the thigh shake and burn! Meg grew up in Atlanta, GA and received her B.S. from Washington University in St. Louis in Economics and Psychology. Following university, Meg moved to Minnesota for a career in Merchandising at Target. For fun, Meg loves to ski and hike with her fiancé and is obsessed with almond butter, the color pink, and ABC’s the Bachelor. A former collegiate volleyball player, Meg found the Bar Method after she sustained a career ending injury and needed a workout that was low impact, effective, and made her feel just as much of a #bossbabe as she once did on the volleyball court. Her favorite move is back dancing. 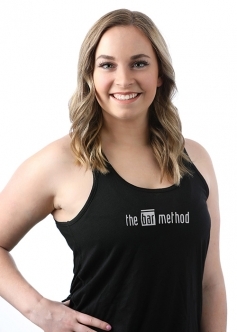 Meg is excited to promote strength and empowerment as Bar Method instructor! *Meg will be a "commuter" to Chicago for 2019/2020 as she attends the prestigious Kellogg School of Management at Northwestern University. Congrats, Meg!